F1 confirms all of the timings for its race weekend schedules in 2019, with the French Grand Prix being the only race to change start time. Formula 1 has confirmed all of its grand prix weekend schedules for the 2019 season, with only one race shifting its start time compared to last year. As introduced in 2018, all F1 races will start at 10-past each hour, with all of the events in mainland Europe scheduled to start at 14:10 GMT. The only race to change its start time is the French Grand Prix at Paul Ricard, which started at 15:10 GMT in 2018 in order to avoid clashing with the FIFA World Cup matches scheduled on the same day. Otherwise, all race weekend timings remain unchanged. 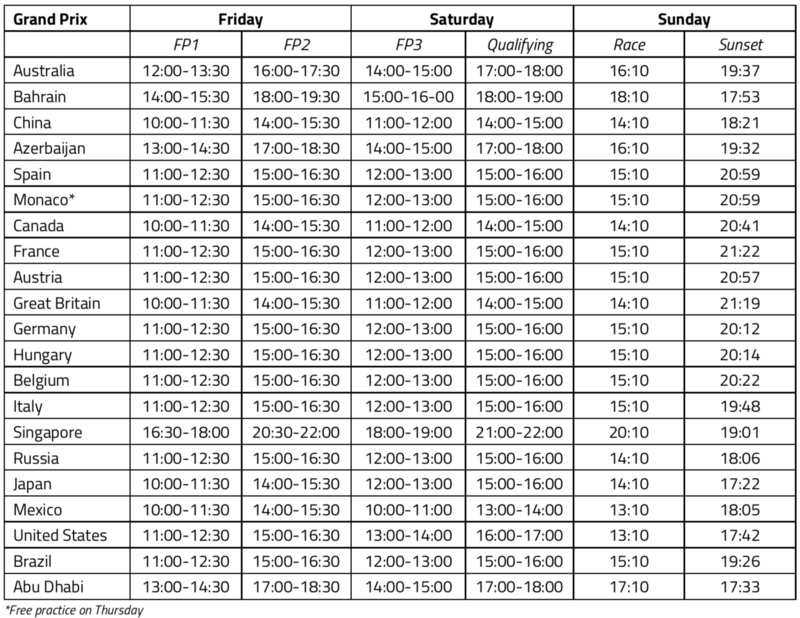 Find below the complete list of timings from Formula 1. All times are local.